Last Sunday the sun was high in the sky and life was feeling pretty damn good down at Violette Cafe. 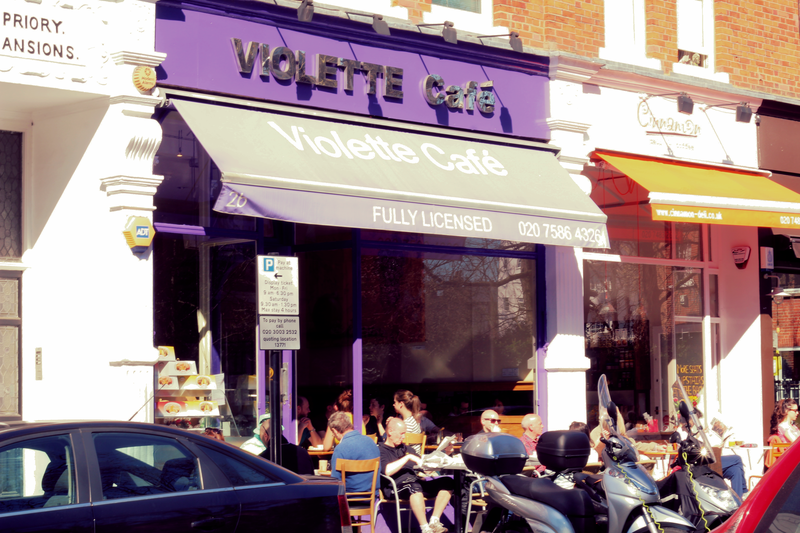 Violette Cafe, perfectly located in between Belsize Park and Primrose Hill, is a modest looking cafe. It is definitely violet, I’ll give them that, but other eateries nearby perhaps look more appealing. 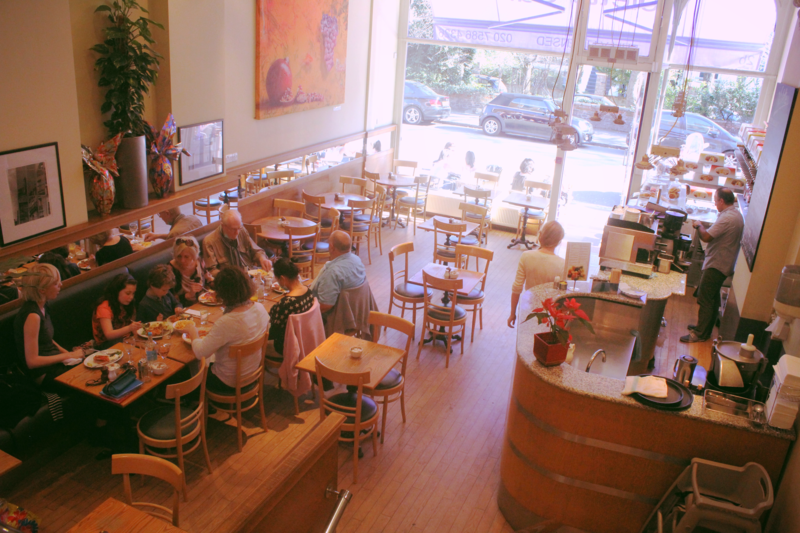 Don’t let that fool you, it’s such a hotspot for breakfast and here is why…. 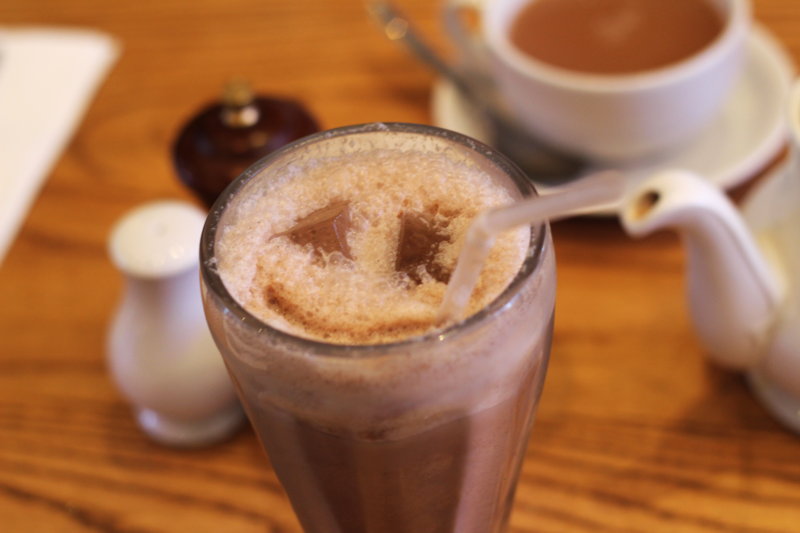 I opted for the cheeky iced coffee, just a tip if you order this go for the ice cream version you definitely won’t save on the calories but it is well worth it. 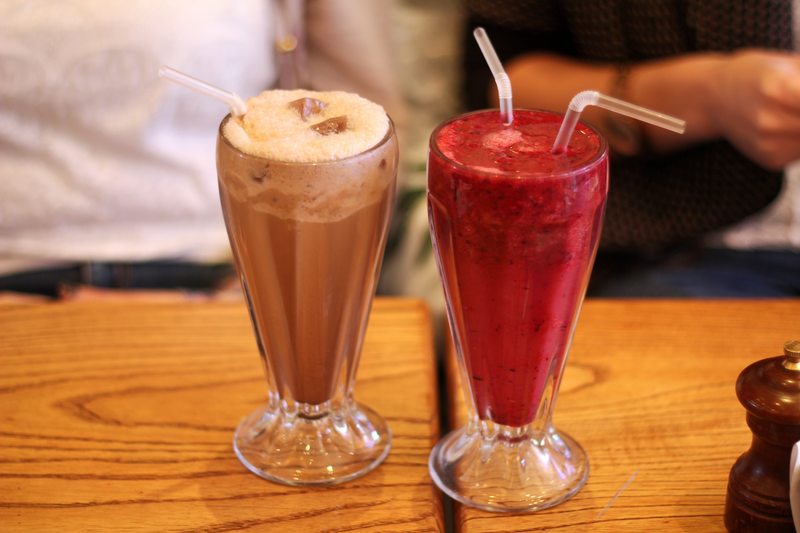 My friends tried the various smoothies which also tasted yum. The decor is fairly simple and modern with a few pieces of artwork and photography dotted around. It looks fairly empty simply because everyone was sitting outside in the sun. 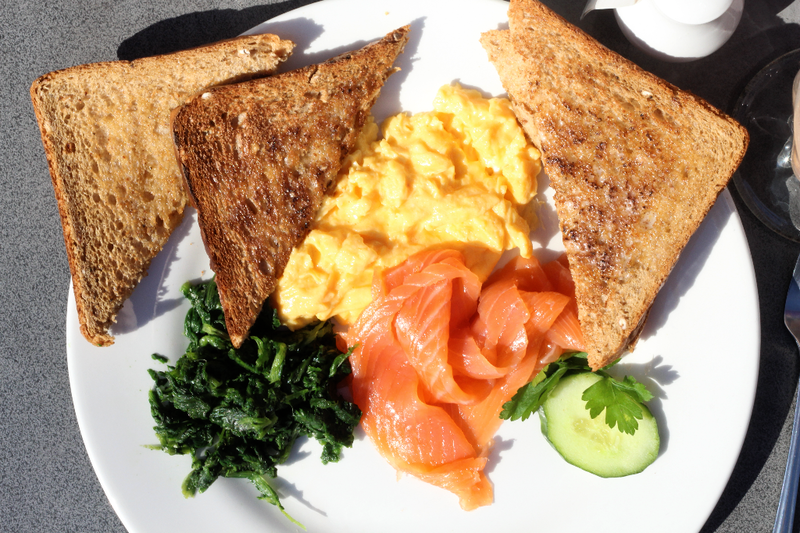 As always I opted for scrambled eggs, smoked salmon and spinach. Predictable maybe but it has to be done when you are having a long breakfast. People do have certain preferences when it comes to eggs and some people like scrambled eggs to be milky. Me personally I love buttery eggs and as you can probably tell from the tone in the picture these were perfect for me. Smoked salmon can be so hit or miss, if it isn’t fresh enough the texture can be rubbery and it tastes fishy. Luckily this tasted really fresh and delicious. I especially like the lone cucumber placed on the plate to make me feel a bit better about my meal choice. 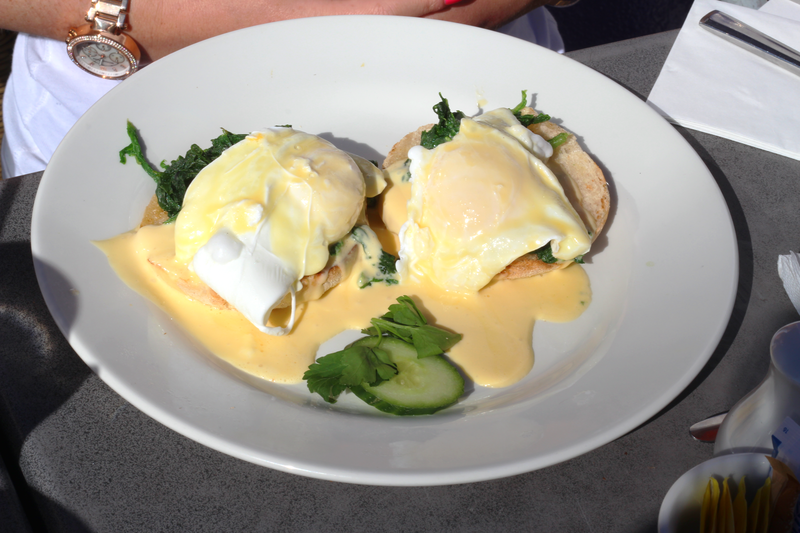 My friends opted for the vegetarian breakfast and the eggs benedict, though it seems more like eggs florentine. Their verdicts? Yummy yummy, we had clean plates at the end so it was clearly a good meal all round. It was such a nice place even my coffee was smiling! If you find yourself in the Belsize/Primrose Hill area on a Sunday morning check out Violette Cafe on 2 England’s Lane, NW3. It’s eggs-actly what Sunday mornings are made for. 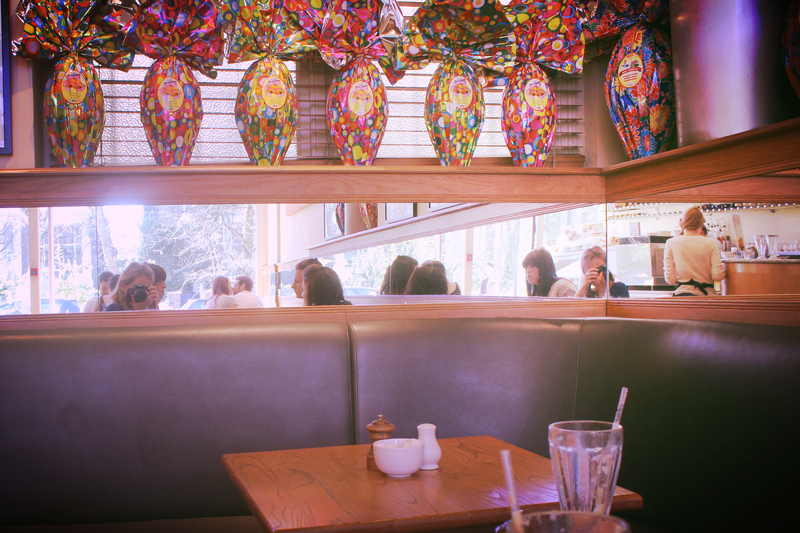 Where is your favourite place for brunch?